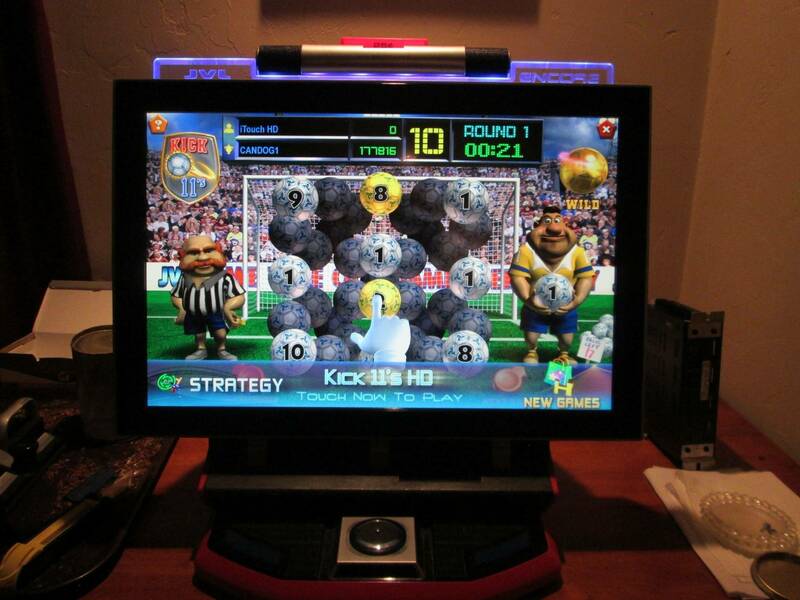 I was thinking about adding a tabletop Megatouch to the game room. Just wondering if anyone has any advice and when I might expect to pay for a small flat screen unit? Are these a smart addition or are they a headache if they break, when they break? My advice would be to get an ion fusion. 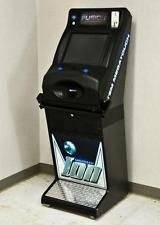 I have had a few versions and ion fusion has the best games. They have the joystick and the buttons for about half of the games although all games work with touch screen as well. I think you can stay in the $500-600 range but it can take awhile to find a flat screen ion fusion. I currently have an ion fusion upright. It was not working when I got it so it was kinda cheap. It needed a new power supply for $30 and then I had to jumper a couple of wires to kick start the motherboard. It had 2008.5 software in it but I upgraded to 2013 at some point. That was easy to do. They are very reliable but there is a guy in rockaway that fixes them and has parts should anything break. I think its a great addition for what you pay compared to pinball machines. Does that version have a snoman snowball fight game and a game where you are throwing monkeys around? We played one with those and my kids thought they were hysterical. That's kinda the reason I started looking at these . It does have those games. I think its called feeding frosty. 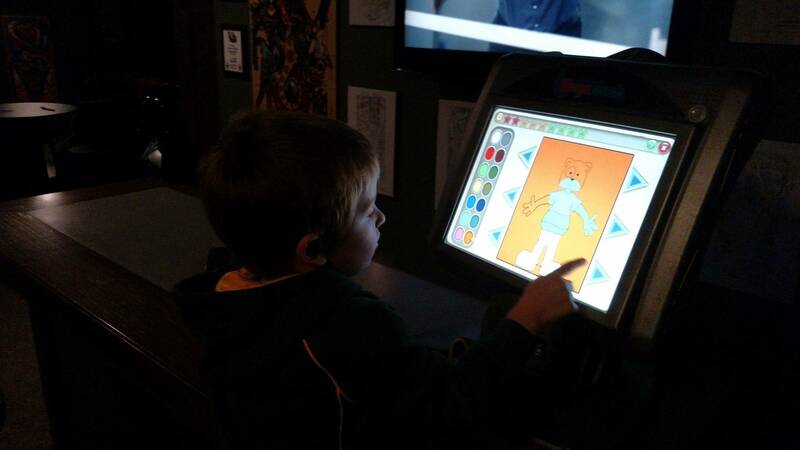 There is a lot of great games for kids. There used to be a list on the merit website of the chronology of games but I looked and its no longer there. I might have the file on my computer still but I will have to look later. The last version came out in 2014 and you would think that the latest version would have all the games they ever did but at some point they started eliminating some of the older games. I've owned a Megatouch Force EvO 2011 and a Megatouch Force Radion 2006.5. My biggest piece of advice is to NOT buy one on eBay or through somebody who does not know how to ship these. I'd almost guarantee it will arrive broken. There are tons of boards, fans, heat sinks and parts which can get banged up during shipping and will be a nightmare to repair if it arrives broken. On my Megatouch 2006.5, the "Monkey Bash" game is on there, but I don't know about a snowball fight game. There's one called "Feeding Frosty" where you guide a snowball around to make it bigger, or something like that. Here's a few issues I've had with my Megatouch. At first, the motherboard battery died so it would boot. All I needed to do was change the battery out. Then, the serial port on the motherboard stopped working, so the touchscreen didn't work. That required a motherboard swap with my other Megatouch. Another thing to keep in mind is that the security keys which are required to boot the game are aging and will eventually stop working, rendering the entire system useless unless you have a hacked version of the software to bypass the security key check, which some people are already working on. All in all, they are tons of fun if you can find them cheap! They're great social games and add some nice variety to my game room. Here's a tip, disconnect the small but LOUD cooling fans inside the cabinet. Damn things are so loud in a home environment and I never had a lick or trouble after disconnecting them. If you decide to go with an upright, this is the model I have. As you can see it has a small footprint. You don't need the latest and greatest... once you get to like 2006 it's just tweaks on which games were included and the system itself functions the same. I don't even know which games use the joysticks on ion hardware. Usually you see these in raw form for about 500 being in the middle of the range. You can get them cheaper 400 or less in the right deal... but people also try to sell them near 700-1000 for the flashier ones or cleaned up. I got a working EVO 2007 (or 6? Forget) for 350 "in the raw". Ion cabinets have the joystick while force evo do not. Like I said, never had a problem and owned several units for many years. I also wasn’t running my Megatouch games nonstop on location. Do whatever you want, but I preferred a quiet system. We Enjoy this very much! Adult games can be turned on too. JVL HD 3 is great. a bit of$$$$ but we love what it has for games. I have about 30 of them in stock from 06ish to 2014. Joystick, non joystick. Shipping would be a pain, but maybe ups would take it. 450-700 is about right for average. We also remove the bill acceptors since they are unneeded in the homes. Call around to a couple local operators as many of them just have them sitting around. Cell phones really killed these cool things. The better fix is just replacing the worn out fans with new ones. They will be much much quieter. +1 on the JVL Retro. Everyone enjoys it and it has a cool light show! 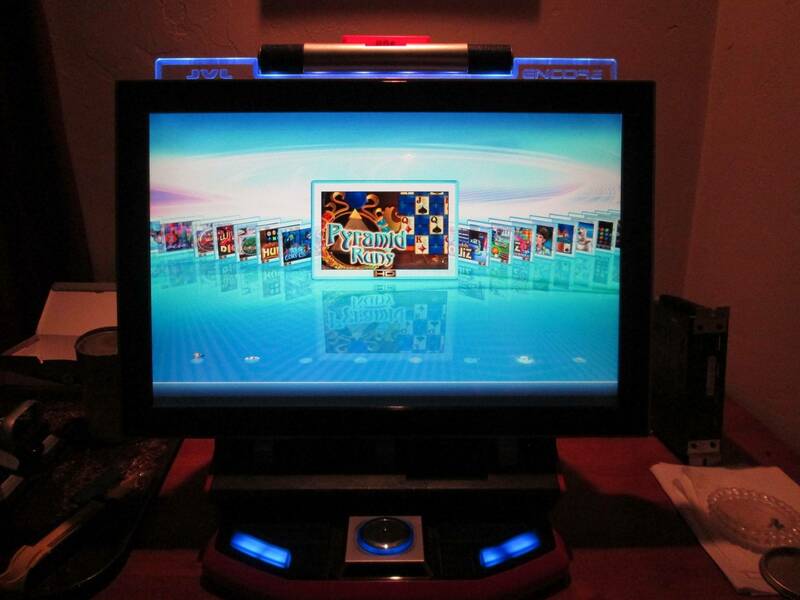 We have run through many of the entire model makes on the Merit Touchscreen Machines & have had a fantastic time w/ each. From the bulky Sapphire monitor series, to the Force & then the Ion. These units are easily approachable & appeal to everyone w/ game categories that are universally appealing. 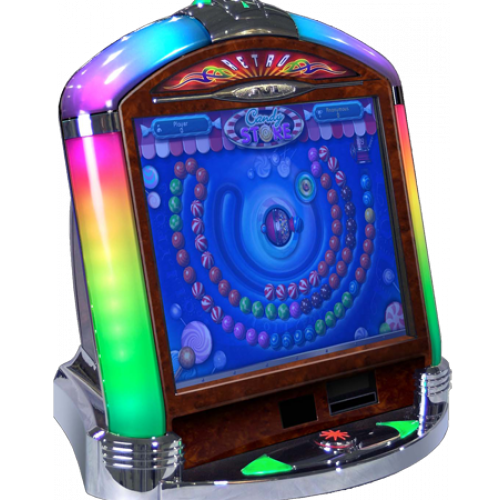 The Merit is a fantastic way to entertain family & friends, as the attraction of the machine is easily understandable. Y'all got them fancy Megatouch games. Mine is a Megatouch IV from 1996 I think, an old CRT version. It's loud but rock solid and I only paid $50 for it. LOL. It would take up your entire table though. We acquired the JVL Echo (pictures above) at the York show last year. We purchased this from Charlie Wampler for $900 & worth every penny. Of course, these units are routed & refurbished. Two weeks after purchase, the unit crashed & the screen went blank. Columbia Distribution honored a 90 day warrantee & replaced the capacitors in the LCD board interface for free. I highly recommend Charlie & would easily purchase from him again! Oy..... The idea of it crashing is what scares me. Where did you guys order those fans? I can only find two places which are both in China. Mine is an Ion and is louder than I'd like but, I have to say it has been very dependable. As everything eventually breaks or fails, there are still parts out there to fix these units. I know Merit went out of business a couple years ago but there are technicians w/ knowhow. On the JVL manual, there is a parts list & specific instructions on how to replace certain parts. 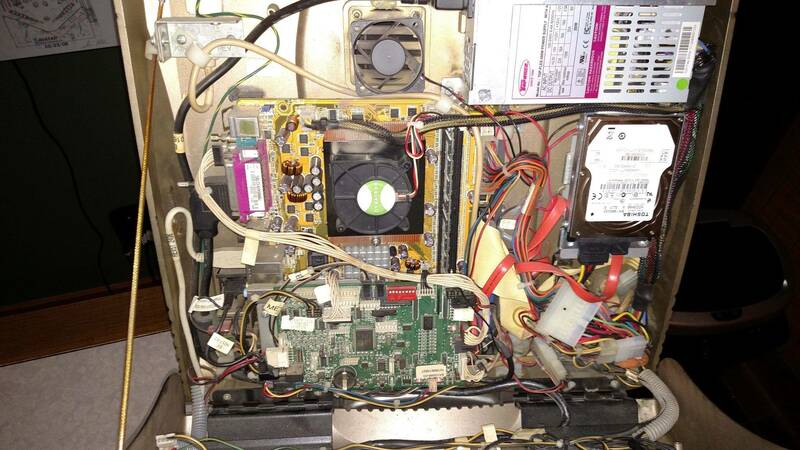 The procedures are picture oriented & if you take your time, it's not that hard to replace a power supply. Pinball machines cease to work all the time, but we always find a way to renew or restore back to working order. As the majority here on Pinside absolutely need ~ oxygen, water, food & pinball to exist & survive. Please do yourselves a favor and never disable or remove any cooling fans on these things guys.I have read several people saying the noise or whatever was bothering them for home play and disconnecting different fans etc.These things are mini ovens,I would much rather live with a little extra fan noise than be buying another motherboard! Thanks for bump Don44, that's the Merit Ion that I am selling. If anyone is interested, I'll be at the York show this Friday. We have a Micro Center here as well but, all of their fan stock is either 3pin or 4pin. I have the exact same machine as the one Rush2112 has for sale (comment above). The fan I need is a Sunon Maglev KDE1205PFVX 11.MS.A.GN, it's 12VDC 2.0W and is a 2pin connector. This is the fan up and behind the change slot/return area. Same with 4 pin fans... the 4th pin is just speed control. The GND and 12V are all you need.. the others are just extra if the application needs it. Thx Flynnibus, installed an ultra quiet evercool of the same size and wow what a difference! I'm very happy with the sound now. I just picked up a Megatouch ION from Kingpin games (Thanks Chris!) and I'm really enjoying it so far! It is loud though and I would like to upgrade to quieter fans. What are you guys recommending for fans on this model?-would you mind sharing part numbers or other info? The loudest is the one above the heatsync on the CPU but I may as well replace all of the fans with quieter units. Also, has anyone upgraded their Hard drive to SSD and is the performance/speed gain worth it? Adding memory will noticeably improve performance. Not sure a HD swap would be worth the effort though. Just make sure you have the memory maxxed out on the motherboard - that old RAM is dirt cheap. Thank you! I do have 512mb of Memory which I read was the max that the system supports. I also ordered some quieter fans to help improve with the decibel level. Has anyone ever had problems with games freezing up? Whenever I launch either of the Beer Pong games it starts loading and then freezes.-I have to reboot before I can do anything again. I disabled those games in the menu for now. I've also had a few instances where the system wouldn't boot with a D-Sub error which means it's not sending an output to the LCD monitor. If I re-seat the RAM and some of the connectors it seems to solve it. Hopefully it doesn't become a bigger issue in the future. Anyone else experience either of these issues and have any suggestions? thanks! I have a Megatouch Ion that I upgraded to 2014. This is the last update. I replace the HD with an SSD and it boots and loads games super fast. The games are great. I have adult games turned on after 11:00pm and the Penthouse versions are great. Some of the new games are good, some not so much but overall, it's a great machine. Yes it runs loud but the only thing you can do is replace the fans with the SilentX fans if you can make them fit. They were meant for bars where there was so much noise no one cared. I have the last version Megatouch Aurora I picked up from ReplayRyan. Great guy and seems to know his stuff. Its probably something with the motherboard if it freezes up and will only get worse. I don't know how to troubleshoot that but I could refer you to somebody who fixes them. I would let the guy know who you recently purchased it from. What are you guys recommending for fans on this model?-would you mind sharing part numbers or other info? These are such commodity parts its hard to find constant supply that is cheap and repeatable. Best thing is to match the size based on what you have in hand. I guess if you bought from newegg or similar you might find consistency. I just picked through the stuff in the component area of the store. Unfortunately I don't have the fan sizes anymore. Should be a fan in the base, fan at the top of case above the motherboard.. both these are identical, and the fan on the CPU. Cant remember if the small ones are 40mm or 50mm. Buy based on the connectors if you don't want to solder, the size, and dbA if its listed. Thanks! That is the right size for 2 of the 3 fans. I think the CPU cooler fan is a 60mm. Hopefully that's not the case but if it is I know Kingpin Games will take care of me! Chris is a great distributor and his support is second to none. 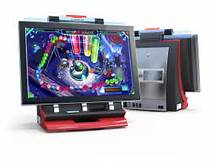 I know he's got a bunch of Megatouch's in stock (as well as hundred of other games) so if you are looking for something like this for your arcade give him a call. I'm really happy with the Megatouch. It's the perfect game for the home bar in my game room. My 3 year old is also having a ton of fun on it! Damn - looked for you but didn't see you. The Merit Ion was sold privately to another Pinsider at the York Show on Friday. I didn't have this listed in the Market, but my WPT machine was stated in a bundle deal together w/ the Merit.